Hey little mouse! - gets a total new meaning here. A mouse swing may normally only be invented in children´ fantasies. The absolutely new swing experience for the loved small ones from 2 to 6 years age. This exceptional design idea assures best playing fun, which will also infect adults. Win the great enthusiasm of the whole family for you. 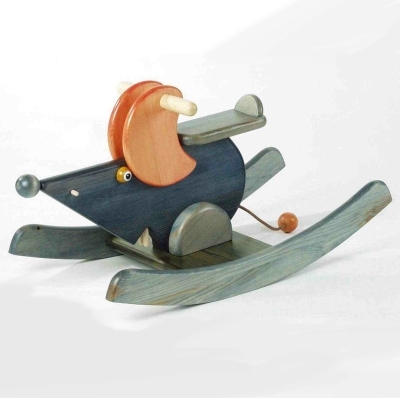 - Swing Animal Mouse Betsy, pine wood, colour stained and lacquered, Dimensions: l 83 x w 35 x h 41 cm.